Go out there as a “dowser” to learn about homes in your chosen neighborhood. You will determine market value better than any Realtor or appraiser or homeowner because you will have been comparing homes, checking features against price, and meeting Sellers. While that may be myth, there’s something to be said for developing your own ability as a “dowser” when shopping for a home. Especially in these crazy times when Sellers stand firm on prices from 2005 and refuse to price the house to sell. The fact is, without Buyers driving the market prices down, those prices won’t change on their own. And there are not many Buyers walking the streets these days. If you have decided that you must own a home now—regardless of market craziness—then you’re obviously going to be out there on the streets looking for a home to buy. With reluctant Sellers and a dearth of Buyers, what’s a person to do? Your “divining rod” as it were, is your own personal market value indicator. You create this divining rod by researching property values in your chosen neighborhood. 1. Research the values using internet tools. The ‘net resources available for this are many and varied: propertyshark.com, zillow.com, MLS.com, and Realtor.com are good starters. But the internet is not the be all and end all for information about the home you wish to buy. Don’t fall into the trap of relying solely on the ‘net for your research. 2. Get out there and look at [tag]houses[/tag]. There is no substitute for visiting houses in person. Whether you do this on appointments with [tag]Realtors[/tag] or just by visiting open houses on the weekends (I recommend BOTH methods), you must undertake this important facet of your research for a home. When you are looking at lots of homes—both online and in person—you will soon develop your “divining rod” and you’ll be a home-buying-dowser! You will get a sense of the features of different homes at different price points. You will learn the quirks of the people selling homes and how it is possible for someone to have a ridiculous expectation of what their home is worth. You will get to see yourself more clearly—in your mind’s eye—in the [tag]home of your dreams[/tag]. Most of all, you will develop a personal perspective on prices and thus market value in your desired neighborhood. With that experience, you will be a better negotiator on price. Because you will have developed a “gut instinct” (or divining rod! ), you can better set a maximum price you’re willing to pay for any given home. You can see past ugly wallpaper and ancient carpeting; you can better understand when a Seller is being completely unreasonable. Get ready to go out there as a “dowser” to learn about homes in your chosen neighborhood. You will determine market value better than any Realtor or appraiser or homeowner because you will have been comparing homes, compiling features versus price, and meeting Sellers. Toss economic theory out the window. If you are ready to buy a home—for your own reasons—then it’s time to make your own economic theories and make ’em stick. So you know you definitely want to buy your own home. No matter the market conditions, interest rates, or status of A-Rod’s quest to hit Home Run #500, you have your reasons. If that’s the case, how then to find a house at a price you’re willing to pay? There is a glut of homes available for sale, but you can be pretty sure there is also a glut of Sellers out there with unrealistic expectations as to the price they’ll accept. And those expectations might very likely be out of line with your personal viewpoint on market value. Back in Economics 101 we were taught about Supply and Demand, and how one affects the other, especially regards price. I say, chuck the economic theory out the window. If you are ready to buy a home—for your own reasons—then it’s time to make your own economic theories and make ’em stick. Here’s how, then, to find the Supply of houses you’d be willing to buy and thus meet your own personal Demand. 1. Determine a monthly payment you’re comfortable with. When you are prequalified, your mortgage professional will calcluate for you the monthly payments on a maximum loan based on your income. If the maximum loan you’re qualified for has a payment beyond your comfort level, then ask your mortgage pro to “step it down.” You’ll have a payment you’re comfortable with and you’ll know, based on the new calculations, your maximum price. Create your own “gut-sense” of market value. You do this by looking at homes—in person—in your chosen neighborhood and learning the price points of different houses with different amenities and sizes. Look at a lot of houses. When you are out shopping for a home on a Saturday and a Sunday, make offers. In New York you can make as many offers as you like; until you sign a contract of sale with your attorney, you’re not committed to anything. This is a good way to get at the essence of a Seller’s mindset: are they serious about selling, and what price do they really have in mind? At worst you’ll find out just how unrealistic a Seller is with price expectations. When you meet those kinds of Sellers, it’s time to move on, and you haven’t lost much time “falling in love” with that house! While negotiating offers, determine the maximum price for any given house. You set that price by trusting your “gut sense” of market values because you’ve been out looking at lots and lots and lots of houses. When you negotiate offers, first with your opening price and then up to your maximum price you create your own opportunities for “corrected prices” by seeking out the Homeowners who will sell to you at YOUR price. When you’re shopping for your home, the “stuff” is all that homework you’ve done by looking at homes in your chosen market, developing an instinct as to true market price. The second ingredient in your “stuff” is the knowledge of your personal “fundamentals.” These fundamentals exist with you, not out in the ether expressed on some internet site somewhere as an unfathomable variable in a real property valuation equation. YOU are the equation: your instinct, and your fundamentals. Taken together, it’s your “stuff,” and you should trust it! -Do you want to rent or own? -Can you locate a house at a price you’re comfortable with? -Will you own that house for a long enough period of time to make sense considering how much money you’ll invest to make the purchase? -Are there intangible benefits to owning that you want to realize, and that you absolutely cannot obtain by renting? A lot of people think there should be some baseline, some pre-defined “bottom” of the market and a condition of economic equilibrium at which point it makes sense to buy a home. They think there is some fixed equation like the Pythagorean Theorem when it comes to real estate market prices and timing. Umm, no. There’s no such thing. Take it from someone with 18 years professional and 21 years personal experience with real estate. Homeownership is what you make of it, quite literally. It starts with a dream, continues with your comfort level with the numbers, and finishes with your decision as to your own personal fundamentals. This is the process I recommend to my clients on the “How-To” of making an offer. When you make an offer to purchase a house you are opening a dialogue with the Homeowner. You want to buy the home at the price you’re willing to pay; that doesn’t always equal the listing price. I think it’s important to view the offer as a process and not the be all and end all of the transaction. Often Buyers feel “constricted” by the offering process. It is perfectly understandable that you might feel impatient with the process of shopping for a home. Too, some Realtors might try to make you feel as if you must make your “best and highest” offer. I encourage you to discard that oppressive feeling. Liberate yourself and use the offer as a way to get what you want: the home you like at the price you’re willing to pay. Follows is a process I recommend to my clients on the “How-To” of making an offer. I hope you find it useful in achieving your goal of homeownership. In my view of the offering process, I want my clients to present themselves as the best Buyer for a home the Homeowner has ever seen. Everything you do within this “How-To” creates that sense in the mind of the Homeowner. 1. Always make offers in writing. Yes, it is absolutely true that offers can be presented verbally. Don’t do that. Put your offer in writing every time. Even if you are in a situation where you and the Seller are sending counter offers back and forth, every new offer should be in writing. When your offer is in writing, you come across to the Seller as serious. Think about it, anyone who is taking the time to go in to the real estate office and sign the form is serious about buying a home. Seriousness counts big time. -The amount of your “earnest money deposit” or “good faith deposit.” That is the amount of money you’ll put into escrow with the Seller’s attorney upon signing the contract of sale. 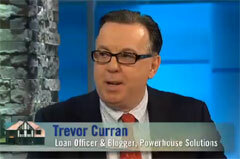 -The amount of your mortgage financing. Of course you’ll back this up with a prequalification letter, but you must include the amount of your mortgage in the offer. -The name and telephone and fax numbers for your attorney. -Anticipated contract date. Always make this date within 48 hours of your offer. Present the assumption the Seller will accept your offer and immediately forward a contract to your attorney. -Anticipated closing date. This is an interesting point for the offer. I always recommend putting the closing date for an offer within thirty days of the contract (check with your mortgage Lender to be sure this is possible). The fact is most closings take place within 60 days of contract, and your attorney will likely put that in the contract, but if your offer says “thirty days,” once again you demonstrate how serious you are about buying the home. 2. Prequalification letter. Your mortgage professional should be available to fax a prequalification letter within hours of your making your offer; even on Saturdays or Thursday evenings. The prequalification letter should match your offer, not display a higher loan amount. You don’t want to give away your negotiating position by showing the Seller you can afford more than you’re willing to pay. 3. Mortgage pro phone call. I think a phone call from your mortgage professional to the Listing Agent is a home run. When the Listing Agent here’s from the mortgage person directly how eminently qualified you are, imagine how that raises your profile to the agent and the Seller! 4. Credit Scores. Your mortgage person should be prepared to disclose your credit scores. While you don’t want your credit report released (that’s not allowed, anyway), many times the Listing Agent wants to know the credit scores. 5. Engineer ready to go. When you sign your offer, be sure to tell your Realtor that you’ve already spoken with your Home Inspector and you can have the inspection done tomorrow. Whoa, that’s really the mark of a serious Buyer! 6. Get ready with your counteroffer. If you offered less than the asking price, then you need be prepared with your counter offer if the Seller either declines or counters your opening offer. All of the steps above should be repeated with the new price replacing the original number. Organization and swift responses rule the day! Oh, you may not want to counter offer. That’s okay, too. Protect yourself: engage an attorney to represent you for your home purchase. Have your attorney on your “team” before you get out there shopping for a home. It makes good sense to protect yourself in this way with the single biggest purchase of your life. It is common here in New York to have an attorney represent the Buyer in a purchase transaction. I know elsewhere in the country this is not necessarily the case. Frankly, I can’t understand how anyone could proceed with signing important legal documents without an attorney present to review and advise. I’ve recently encountered two situations where the Buyers were not represented by an attorney at contract or closing. In the first case, the Buyer purchased a property in Florida. Until I reviewed their documents a year later, they had no idea a prepayment penalty existed on the mortgage loan for the Florida home. Their mortgage person was one of those, “Sign here! No Problem!” quick-talking salespeople who doesn’t bother to counsel, advise, inquire of, or explain the loan product. That’s not much detail is it? Had the Buyer been represented by an attorney at this Florida closing, their lawyer could have advised them right there at the table about the existence of the penalty, and the particularly onerous nature of this penalty (five years!). That’s what the attorney does at closing: reads the documents before you sign and explains or questions those documents if there is something there that may be detrimental to your best interests. The second case I heard of was last night. A Buyer signed a contract to purchase an apartment without an attorney representing her. The Buyer is not the least bit qualified for the mortgage loan. There is no way possible this Buyer can obtain financing to purchase this apartment. Normally, you might think, “Well, alright, Buyer makes application to the bank, is denied for the loan, presents the denial letter to the Seller and gets the downpayment back.” Seems simple enough—and very common, indeed—but, not in this case. The contract of sale has no mortgage contingency. And the Buyer put 10% of the purchase price down on signing. If the Buyer had an attorney, at the very least the attorney would have made provision for a mortgage contingency in the contract. If the Seller refused to provide such a contingency, the attorney would have advised the Buyer of this deficit and the potential loss of downpayment. If the Buyer insisted on proceeding with the purchase minus the contingency, then an attorney could have advised the Buyer to be absolutely certain that mortgage financing was possible before signing the contract. No attorney. No mortgage contingency. No mortgage loan approval. No way to get back the 10% downpayment. Have your attorney on your “team” before you get out there shopping for a home. Your team of professionals should be at your disposal to advise you before you open up the paper to look at the “Homes For Sale” ads or contact a Realtor to show you homes. It makes good sense to protect yourself in this way with the single biggest purchase of your life. Author TrevorPosted on October 10, 2006 Categories First Time Homebuyers, How-To NegotiateTags First Time Homebuyers, How-To Negotiate3 Comments on Protect yourself: engage an attorney to represent you for your home purchase. Two tools. Buyers use them to get what you want: your dream of homeownership at the price you’re willing to pay. Sellers beware! I believe the prequalification letter is a negotiating tool. Buyers must use this important device wisely when making offers to purchase a home. In today’s uncertain and changing market, a Buyer has only two fundamental advantages when bargaining with Sellers. Remember, Sellers are still holding all the cards on price and timing of a sale. Those Sellers who aren’t “real” Sellers, will just sit it out until they can get their price or they finally give up, take the sign down, and head for the backyard barbecue grill. Too, there are many “real” Sellers who want to believe beyond all hope they can still get top dollar (read: Summer 2005) for their home. As such, they’re not willing to negotiate on price, closing deadlines, downpayment, financing, or incentives (tossing into the sale price that freezer in the basement they would otherwise sell you for $350!). They really do want to sell, but haven’t gotten it through their heads, yet how dramatically the market has changed. If you’re a serious Buyer—that is, you really want to get out of the rat-trap of renting an apartment—you’re faced with the dilemma of breaking through this impregnable mindset of Sellers. I don’t believe we’re in a “Buyer’s Market” yet, and there’s no guarantee this market will become a full-blown “Buyer’s Market.” Therefore, you have to focus on the fundamentals if you are truly to accomplish your goal of homeownership. A Buyer has two devices, tools, or “weapons” in the quest to make the dream come true. The first is the ability to get up and walk away from the negotiating table. I’ve said it before, and I’ll say it again a thousand times, a Buyer’s power is defined by the willingness to get up and say, “No, thanks.” You have to draw the line, and force a Seller to negotiate. If they come running after you as you leave the table, great, you’re making progress. If they don’t, well, you’ve just saved yourself a whole bunch of aggravation and potentially financial distress. The second tool is the prequalification letter. Never show a Seller your maximum loan qualifications. If you’re negotiating down a price of, say, $425,000 to your offer of $387,500, and your prequalification letter says, “$500,000” the Seller has absolutely ZERO incentive to bargain with you. After all, according to the letter from your Lender, you can handily afford the price the Seller is asking. Boy! You’ve got nerve trying to bargain that Seller down when you’re obviously well-off enough to afford more than the asking price! The nerve! Your letter should reflect only the price you are offering. If you increase your offer, have your mortgage person increase the prequalification letter. If you have to do this three or four times to get what you want, then so be it! I specialize in 100% financing, the offer and the letter are usually the same amount. The prequalification letter should be delivered immediately you make the offer. If you made your offer on a Saturday afternoon at 3:30p.m., the latest the prequalification letter should be delivered to the Seller is 10a.m. Monday morning. I usually send mine within hours of the offer, even if it’s a Sunday evening. Yet, too often, I hear from Realtors how they’re still waiting for a prequalification letter the following Wednesday! Frankly, I think that’s ridiculous. Buyers need new strategies to help them accomplish their goal of homeownership. You can make your own buying opportunity. Buyers need new strategies to help them accomplish their goal of homeownership. The market has changed. While I don’t believe it’s a “Buyer’s Market,” as yet, certainly the prices have leveled off. Buyers may still be stymied by intransigent Sellers and Realtors who are living in the past and pushing Buyer’s offers higher, higher, higher. My advice to Buyers: prepare for War. First, get all your ducks in a row. Get prequalified, have your mortgage person available and ready to act quickly to send out a customized prequalification letter with each offer you make. If you make an offer on a Saturday afternoon at 4p.m., that letter should be faxed to the Seller or their agent within two hours. It’s complete nonsense to wait until Monday. If you do this, you set yourself above the crowd. You also set a tone of seriousness in the negotiations. You get the high ground. That makes it easier for you to set the price you want to pay (not what the Seller or their Realtor wants to get). It also prepares you for hard bargaining. You’re hot, you’re ready to buy and close. This preparation raises your confidence level to Herculean strength. Buyers can seek out opportunities. Identify a house that has been on the market for a while. The house might be on MLS or it might be a local FSBO (For Sale By Owner) that you have noticed in your travels the past three months. A house that isn’t sold quickly is most likely not priced correctly. Take your Herculean confidence, set your price and make your offer. Keep it simple. You can make your own buying opportunity this way. It’s so easy. Don’t fall in love with the house. Fall in love with the numbers. Put your offer out, give the Seller just enough time to consider it. If the Seller doesn’t move (counter offer or accept) you move on. Find another house. Repeat. Buy your first home. Tell tales of your Herculean adventures over cool lemonades and hot steaks on your back patio years from now. I live on Long Island. There are several FSBO’s in my immediate neighborhood—within two blocks in either direction. All of them have been “on the market” for a minimum of two months, probably longer (I’ve lost count). These folks seem to think the way to sell a home is to just put up a cheesy red “For Sale” sign with a phone number scratched in on the bottom in Scripto black. Yah. Right. We checked on the price of one. Ridiculous. Absurd. Ludicrous. And the guy was in the habit of running two open houses every weekend for about six weeks. He would make sure there were no cars parked out front and he’d spend two hours Friday afternoon with his visor down, and his weed-whacker going at full throttle trimming to perfection the edges of the lawn. Yah. That’s going to sell a house. Right. If I show up at the farmer’s market with a batch of potatoes and the going price is 20 cents a pound, why on earth would I price it at 35 cents a pound? What, I think I’m going to sell my potaters by cleaning and polishing and trimming off the nasty bits? I Don’t Think SO! I’ve been doing mortgages for seventeen years, and looked at FSBO’s for three years before that as I shopped for my first home. The single common denominator with ALL FSBO’s: highest price, largest greed factor, Most Cluelessness, and stubborn refusal to pay a professional to SELL the home. Homes don’t sell themselves: salespeople do it. Their incentive? Profit, plain and simple. These homes are prime opportunities for Buyers. Show up, make your offer and either buy your first home or walk away and go down the block to the next FSBO. Do you know the three rules of real estate? There are three rules of real estate. Do you know them? With all the talk of “bubbles” and “ROI” it seems absurd that everything important about real estate can be boiled down to one word, but it’s true. That word is location. Whether a property is something to be lived in or something to be invested in, the location of the property determines the price and so much more. Sometimes you come across a house that is priced correctly for the location. Even in this crazy market, it happens! Then there is the personal opinion of the purchaser that affects location. My wife, The Realtor, and I are working with a young woman looking to buy her first home. We went out with her last Saturday. One of the houses we looked at was located a short walk from the elevated subway line. I’d say about 100 yards or so. The client indicated she really liked that feature of the house. She stressed to us that she wants to be at least that close to the subway line, that she likes the short walk, and she doesn’t mind the noise. This client is, like me, a native New Yorker. I, on the other hand, having grown up in apartment buildings both located less than a hundred yards from an elevated subway line want to be as far as possible from such a location. Heck, where I live now on Long Island, just the noise of the LIRR trains honking their horns at RR crossings bugs me sometimes. And they’re half a mile away! The point is, location is not only related to the physical characteristics of the property, but is also a function of the personal opinions and, more importantly, desires of the owner or purchaser. Remember the three rules of real estate when you are shopping for a home. It all comes down to that one simple word. That’s a good thing to remember as you worry your way through open houses, showings with Realtors, grammatically incorrect advertisements on Craigslist, and various other strange home-shopping experiences. There are plenty of houses out there. Keep going until you find a Seller who really is serious about selling their home. Negotiating an offer in a cooling market. Okay, so there is a general consensus that the market is cooling off. Houses are sitting a bit longer on the market; some prices have been reduced, but not all. New houses come on the market, still priced at zany “summer of 2005” prices. Right, so you are heading out there in this “cool” market and you’re shopping for your first home. 1. Know your market. You must create a personal pricing sense; you must do an appraisal in your mind of the home you wish to buy. For that, there is no substitute for going to see as many houses as you can in your chosen neighborhood. You have to learn the prices of the homes so you know almost instinctively what a house is worth by comparing it to the 23 similar houses you’ve seen over the past six weeks. When you walk into the home you want to buy, you will know the right price to offer. You will know the maximum price you’re willing to pay for that home. 2. Your Prequalification Letter is a Negotiating TOOL. You should not be walking around with a blanket prequalification letter stating the maximum loan you are qualified for. Rather, your letter should be customized for each offer you make. This way the Seller never knows your maximum price. If you have made an offer and the Seller counter offers, and you wish to increase your next offer, have your letter updated to reflect the higher amount. And when you make your offer be sure your prequalification letter is faxed over immediately. I can’t tell you how many times I have heard from Realtors the reason they accepted one of my client’s offers is due to the alacrity with which we submitted our letter. Realtors relate stories of offers that come in on a Sunday afternoon, and the Buyer is still trying to get a prequalification letter the following Tuesday or Wednesday from their Loan Officer! I send out my letters the same day you make your offer, even on weekends. I followup with a phone call to the Realtor to support your qualifications verbally. If you want to buy a home for the price you are willing to pay—-not what the Seller wants to receive—you must show the Seller how serious you are. Sending over the prequalification letter right away is an important part of that. 3. Offer less, Offer more. When you make your offer, it doesn’t have to be for full price anymore. Summer of 2005 is long gone. The market has changed. While many Sellers may still be asking outrageous prices, that doesn’t mean they are getting it. Since you are an educated Buyer who has researched your market, set a maximum price you are willing to pay for a particular house and create a pricing strategy. You should have an opening bid, then one or two counter offer positions ready. These counter offers raise your price, but do not exceed your maximum price. Start with your opening bid and your prequalification letter for that amount. The Seller will do one of three things. First, the Seller may accept your offer. Bully for you! Second, the Seller may not respond, or refuse. Third, the Seller may counter. If your offer isn’t accepted, or countered, the next step is up to you. If you like the house enough to move up your price, then step in with your next position and a new prequalification letter. If your offer is still not accepted, it may be time to move on. If you decide to increase your price, that’s fine. Just don’t go over the maximum price you decided originally you would pay for this house. The heat of the moment of a negotiation quickly becomes emotional and you may lose all sense of reason. Remember: you want to buy the house at the price you’re willing to pay for it, not the price the Seller wants. Don’t go over the maximum price you set before making your first offer. 4. Serious Sellers. Oh boy there are a lot of houses on the market. Don’t let that fool you into thinking they are all ready for the taking by smart Buyers like you.